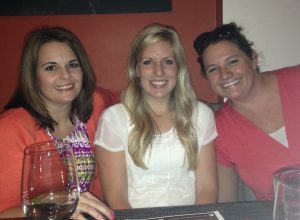 A few weeks ago Kristen was able to attend a retreat in Scottsdale Arizona with some amazing bloggers. Donna and Chad from “The Slow Roasted Italian” hosted this unforgettable event. 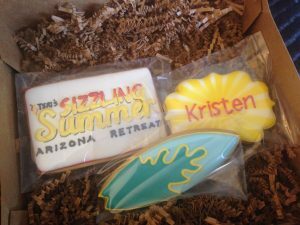 If you follow our instagram (@sixsistersstuff or @Kristen_sixsistersstuff) you would have seen a lot of fun details of this little retreat. We have also been using the hashtag #TSRIsummer… follow the hashtag and see all the fun things that have been happening! You can also use the hashtag yourself for a chance to win a $50 Amazon Gift Card! There are only 2 weeks left so start using the #TSRIsummer hashtag and share all the fun things going on in your life! While she was there she ate A LOT of delicious food, learned a lot, and met some amazing bloggers. These bloggers are all so sweet and she loved getting to know each one of them! Of course Donna and Chad from The Slow Roasted Italian were there. She had the BEST roommate – Erica from Favorite Family Recipes, Ashlee from Ashlee Marie, Mary from Barefeet in the Kitchen, Christie from Love from the Oven, Sara from Mom Endeavors, Katerina from Diethood, Tessa from Handle the Heat, Anetta from The Wanderlust Kitchen, and Alejandra from Always Order Dessert. If you are looking for some new blogs, I highly suggest that you check them out! They are all down to earth, and they are amazing cooks! We stayed at the beautiful FireSky Resort & Spa in Scottsdale, Arizona. Kristen used to live in Arizona and this was not your normal Arizona scenery. It was absolutely stunning. The whole ?theme? of the resort is the natural elements (Earth, Sky, Fire, & Water). Every element was portrayed with such beauty. Everything from the cool, blue pools, streams, and fountains to the giant fire bowls and tikki torches at night is just incredible. She really felt like she was on her own private island resort. It is also within walking distance of the largest Mall in Arizona! Check out some of these pictures. One of her favorite pools has a shallow area where it is full of sand. It is like playing on the beach without the salt! Your kids or grand-kids would love it! The first night they all used their Uber app to get a nice ride to take us to our dinner reservation. She had never heard of Uber before, but now she is obsessed with it! She will never take a cab again. When using Uber you will get a ride that comes directly to you as soon as you click ?GO?. It will tell you how many minutes until your ride arrives and you can even see the little car on your screen coming your way on the map? it?s just an awesome service and it was cheaper than a cab. It was also the fastest she had ever gotten to the airport! 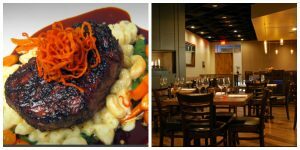 Her dinner that night was at Rusconi?s American Kitchen (pictured above). It was amazing! Every dish that they brought out was so good that you couldn’t say no. She ate it all! She especially loved the chili and chocolate short ribs. They literally falls apart in your mouth because they were so tender. Some other favorites: The vanilla mashed potatoes (they really were SO good!) and the Mac & Cheese. If you are ever in the Scottsdale area, we highly suggest going here! You will not be disappointed! 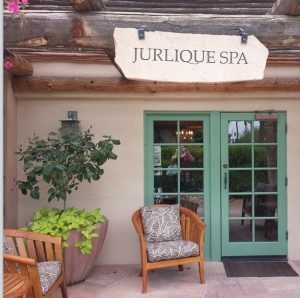 Before we went to lunch, we both got massages from the Jurlique Spa that is located at the FireSky Resort & Spa. They did an amazing job. Massages are the best! So for lunch and dinner we dined at the resort restaurant, Taggia. The food there was amazing! The chef (Massimo) personally introduced each course to us as it came out. He was so kind and boy could he cook! 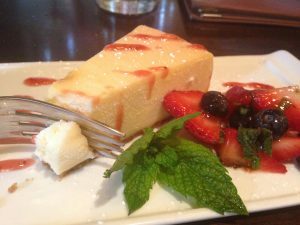 Kristen loved everything they served here, but she would have to say that the cheesecake and salmon were to die for! She came home the next day and told her husband that she really had the best food she have ever tasted. We were introduced to some brands and products that I had never tried before! These were my some of my favorites! and some cute custom-made cookies from The Baked Equation! Don?t forget that you can be a part of TSRI?s Sizzlin? Summer too! Just use the hashtag #TSRIsummer on Instagram, Facebook, and.or Twitter for your chance to win a $50 gift card to Amazon.com! It is only going for about 2 more weeks so get on it!! !